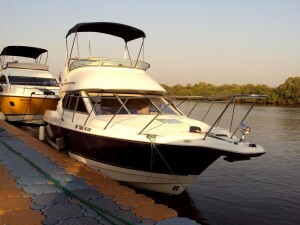 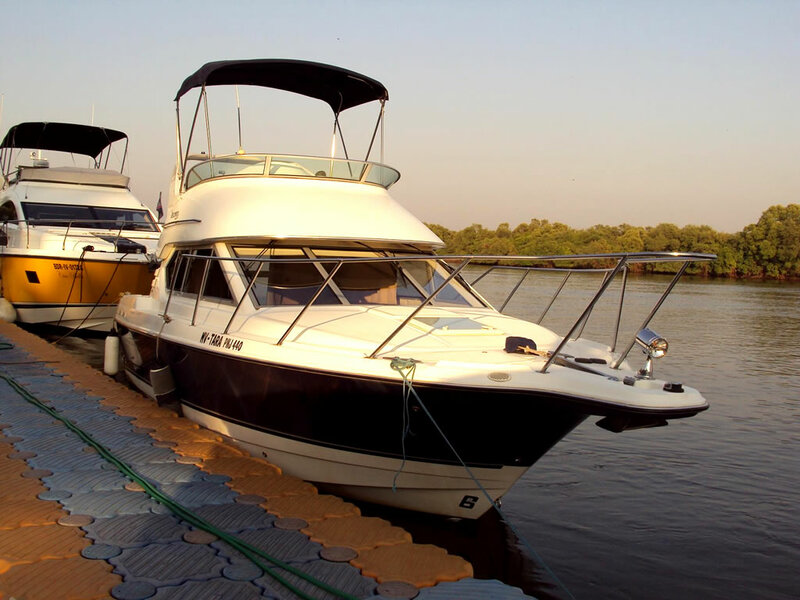 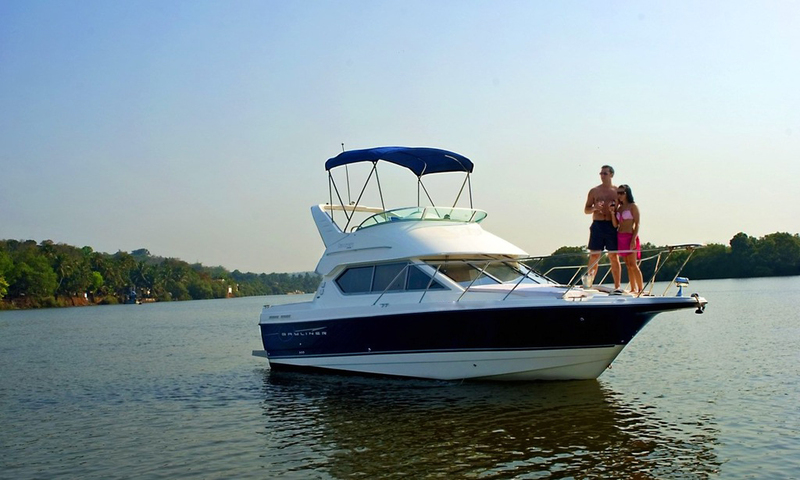 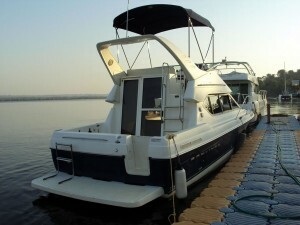 For all those folks who are in Goa to party hard or have a rejuvenating break, take a look at this motor yacht of ours. The interiors are beautifully done up to give it a plush feel. 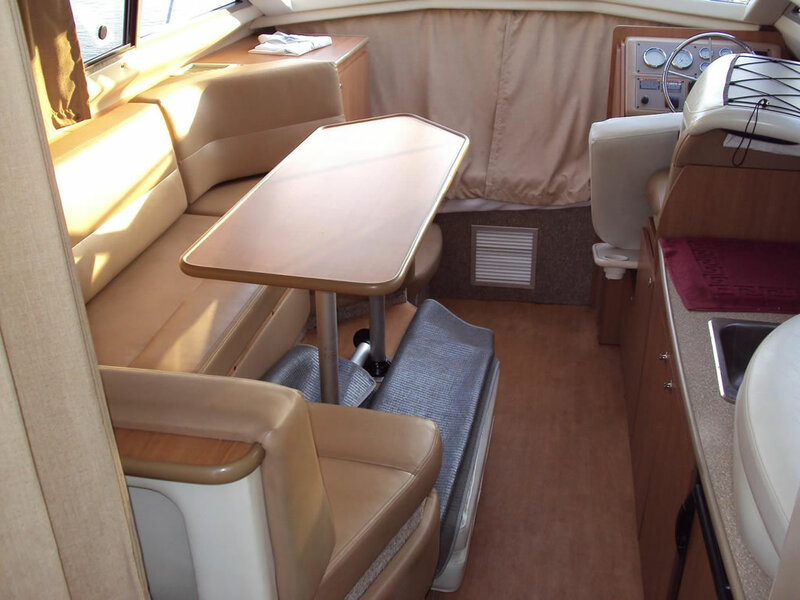 Some of the unique features that would lure you are its large dining area and a separate cozy area where you can read, take a nap or just relax. The yacht also comes with a marine bathroom and a lower helm-station. 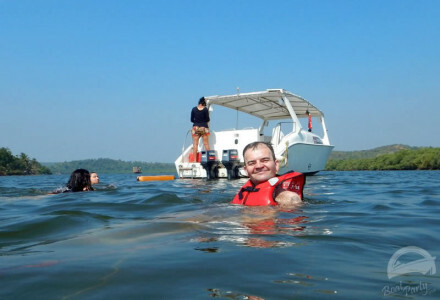 Goa has a lot to offer in terms of scenic beauty. 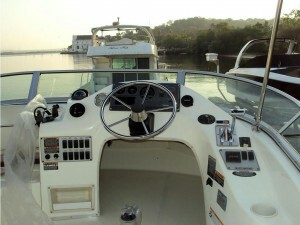 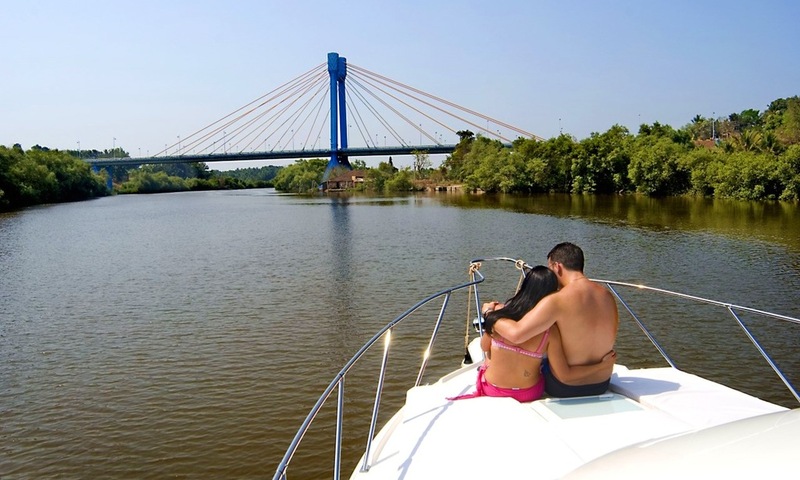 And you can enjoy the panoramic beauty of the river from the helm of the yacht. 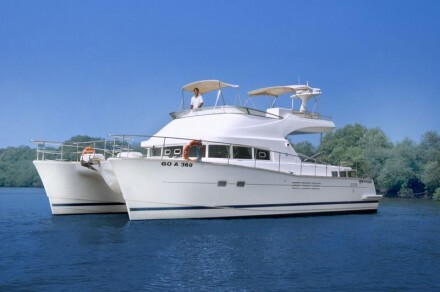 With a seating capacity of 6-8 pax this yacht can also be booked for cruising purposes. 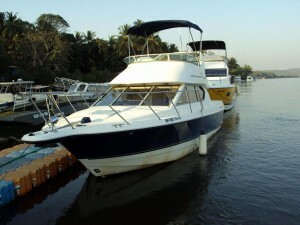 If you want to try your hand at fishing, we also provide the fishing gear. 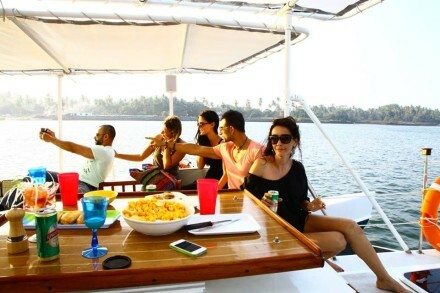 Altogether, our yacht will provide you with a memorable experience. 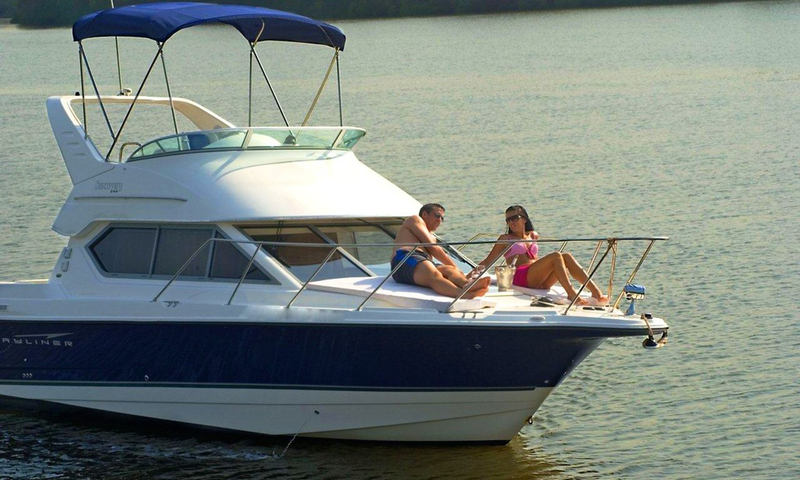 100% advance payment is required towards confirmation for all yacht before boarding.